The journey always seems to start with the destination as the reward. Yet anyone who conquers doubt and exhaustion in pursuit of that destination realizes the true reward is the journey itself. This story is about the 2017 College Night at Montevallo University. College night is THE competition between the Purple Side and the Gold Side. It represents months of work by an incredibly diverse group of students. From a last second basketball victory to the time to fight, both sides find the journey to be the real reward. In the winter of 2014, mountaineers Simone Moro and David Göttler tried and failed to summit the unclimbed Nanga Parbat peak (8124m). All we want is to explore. We need to explore. Sometimes we succeed, sometimes we don't. 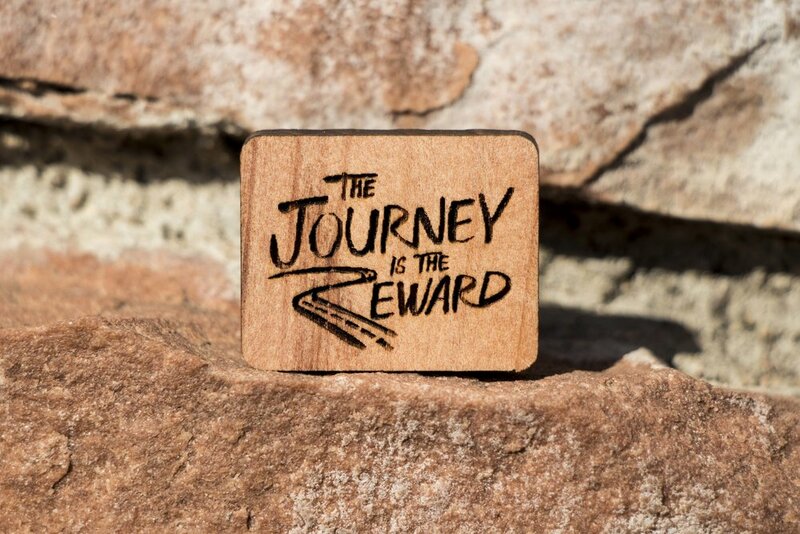 But the journey is always the reward. The Journey is the Reward, Redwood. Click image to buy.